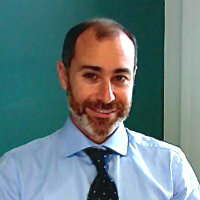 Enrique Schroth joined Cass in 2012 as a Reader in Finance. Previously, he held research and teaching positions at the Amsterdam Business School and HEC Lausanne. He received his PhD and MA in Economics from New York University. His current research focuses on the valuation of the illiquidity risk, the dynamics of ownership concentration, and on the determinants of bank runs and financial fragility. His past research, in topics such as financial innovation and the acquisitions control premium, has appeared in leading academic journals, including The Journal of Finance, the Journal of Financial Economics, the Review of Financial Studies and the Review of Finance. Enrique won the prize for the best symposium paper at the European Finance Association Conference in 2009 for his research on the relationship between the bankruptcy code and the return premium across countries. BA in Economics, MA in Economics (New York) and PhD in Economics (New York). ECGI Corporate Governance Best Paper Competition (2008) Runner up, then voluntarily withdrawn. Are runs on bank debt predictable? If so, what are the determinants? What discount should we apply on controlling blocks due to their lack of marketability? How do differences in the banrkruptcy regimes across countries affect investment and risk taking behaviour in distressed firms? Favara, G., Morellec, E., Schroth, E. and Valta, P. (2017). Debt enforcement, investment, and risk taking across countries. Journal of Financial Economics, 123(1), pp. 22–41. doi:10.1016/j.jfineco.2016.09.002 . Albuquerque, R. and Schroth, E. (2015). The Value of Control and the Costs of Illiquidity. Journal of Finance, 70(4), pp. 1405–1455. doi:10.1111/jofi.12207 . Schroth, E., Suarez, G.A. and Taylor, L.A. (2014). Dynamic debt runs and financial fragility: Evidence from the 2007 ABCP crisis. Journal of Financial Economics, 112(2), pp. 164–189. doi:10.1016/j.jfineco.2014.01.002 . Favara, G., SCHROTH, E. and Valta, P. (2012). Strategic Default and Equity Risk Across Countries. The Journal of Finance, 67(6), pp. 2051–2095. Herrera, H. and Schroth, E. (2011). Advantageous innovation and imitation in the underwriting market for corporate securities. Journal of Banking & Finance, 35(5), pp. 1097–1113. doi:10.1016/j.jbankfin.2010.09.019 . Albuquerque, R. and Schroth, E. (2010). Quantifying private benefits of control from a structural model of block trades. Journal of Financial Economics, 96(1), pp. 33–55. doi:10.1016/j.jfineco.2009.12.003 . Schroth, E. and Szalay, D. (2010). Cash Breeds Success: The Role of Financing Constraints in Patent Races*. Review of Finance, 14(1), pp. 73–118. doi:10.1093/rof/rfp020 . Schroth, E. (2006). Innovation, Differentiation, and the Choice of an Underwriter: Evidence from Equity-Linked Securities. Review of Financial Studies, 19(3), pp. 1041–1080. doi:10.1093/rfs/hhj023 . Torero, M., SCHROTH, E. and Pasco-Font, A. (2003). The Impact of the Privatization of Telecommunications in Peru and the Welfare of Urban Consumers. Economia: Journal of the Latin American and Caribbean Economic Association, 4(1), pp. 99–128. SCHROTH, E. and Albuquerque, R. (2014). The Marketability Discount of Controlling Blocks of Shares. London, Uk: KPMG International. American Economic Review, Referee, 2015 – present. Journal of Monetary Economics, Referee, 2015 – present. Journal of Financial Economics, Referee, 2013 – present. Management Science, Referee, 2012 – present. The Financial Review, Referee, 2012 – present. The Review of Financial Studies, Referee, 2012 – present. Review of Finance, Referee, 2010 – present. B.E. Journal in Theoretical Economics, Referee, 2005 – present. Journal of Empirical Finance, Referee, 2005 – present. Journal of Finance, Referee, 2005 – present. Global Association of Risk Professionals Library, Member of Editorial Board, 2004 – 2006. Journal of Banking and Finance, Referee, 2002 – present. Journal of Economic Theory, Referee, 2002 – present. European Finance Association Annual Meeting. (Conference) Copenhagen, DK (2012). Invited speaker. CEPR European Symposium on Financial Markets. (Conference) Gerzensee, CH (2012). Invited speaker. Wharton Conference on Liquidity and Financial Crises. (Conference) Philadelphia, USA (2012). Invited speaker. Finance Seminar, Queen Mary College. (Seminar) London, UK (2012). Invited speaker. Finance Seminar, London School of Economics. (Seminar) London, UK (2012). Invited speaker. Finance Seminar, HEC School of Management. (Seminar) Paris, FR (2012). Invited speaker. Society of Financial Econometrics Liquidity Conference. (Conference) Amsterdam, NL (2012). Invited speaker. Paris Spring Corporate Finance Conference. (Conference) Paris, FR (2012). Invited speaker. Frontiers of Finance Conference, Warwick Business School. (Conference) Coventry, UK (2012). Invited speaker. Finance Seminar, University of Zurich. (Seminar) Zurich, CH (2011). Invited speaker. Finance Seminar, University of British Columbia. (Seminar) Vancouver, CA (2011). Invited speaker. Finance Seminar, Universidade Catolica Portuguesa. (Seminar) Lisbon, PT (2011). Invited speaker. Finance Seminar, ESSEC School of Business. (Seminar) Paris, FR (2011). Invited speaker. Finance Seminar, EDHEC. (Seminar) Nice, FR (2011). Invited speaker. Western Finance Association Annual Meeting. (Conference) Santa Fe, USA (2011). Invited speaker. NYU Economics Alumni Conference. (Conference) New York, NY (2011). Invited speaker. Fourth Erasmus Liquidity Conference. (Conference) Rotterdam, NL (2011). Invited speaker. Finance Seminar, London Business School. (Seminar) London, UK (2011). Invited speaker. Macroeconomics Seminar, Wharton School of Business. (Seminar) Philadelphia, USA (2010). Invited speaker. Finance Seminar, HEC School of Management. (Seminar) Paris, FR (2010). Invited speaker. Western Finance Association Annual Meeting. (Conference) Victoria, CA (2010). Invited speaker. Finance Seminar, University of Mannheim. (Conference) Mannheim, GER (2010). Invited speaker. Financial Intermediation Research Society Conference. (Conference) Florence, IT (2010). Invited speaker. CEPR European Symposium on Financial Markets. (Conference) Gerzensee, CH (2010). Invited speaker. Finance Seminar, Cass Business School. (Seminar) London, UK (2009). Invited speaker. European Finance Association Annual Meeting. (Conference) Bergen, NO (2009). Invited speaker. EFMA European Symposium on Corporate Financeq. (Conference) Cambridge, UK (2009). Invited speaker. Corporate Finance Spring Paris Conference. (Conference) Paris, FR (2009). Invited speaker. Financial Intermediation Research Society Conference. (Conference) Prague, CZ (2009). Invited speaker. Finance Seminar, University of Amsterdam. (Seminar) Amsterdam, NL (2008). Invited speaker. Finance Seminar, IESE Business School. (Seminar) Barcelona, SP (2008). Invited speaker. Finance Seminar, HEC Montreal. (Seminar) Montreal, CA (2008). Invited speaker. Western Finance Association Annual Meeting. (Conference) Kilauea, USA (2008). Invited speaker. Financial Intermediation Research Society Conference. (Conference) Anchorage, USA (2008). Invited speaker. ECGI Best Corporate Governance Paper Competition. (Conference) Oxford, UK (2008). Invited speaker. Duke-UNC Conference in Corporate Finance. (Conference) Raleigh, USA (2008). Invited speaker. European Winter Finance Summit. (Conference) Hemsedal, NO (2008). Invited speaker. CEPR European Summer Symposium on Financial Markets. (Conference) Gerzensee, CH (2008). Invited speaker. Caesarea Center - IDC Annual Finance Summit. (Conference) Herzliya, IL (2008). Invited speaker. Finance Seminar, Cass Business School. (Seminar) London, UK (2007). Invited speaker. Finance Seminar, Norwegian School of Management (BI). (Seminar) Oslo, NO (2007). Invited speaker. Finance Seminar, Judge Business School. (Seminar) Cambridge, UK (2007). Invited speaker. Finance Seminar, Birkbeck College. (Seminar) London, UK (2007). Invited speaker. European Finance Association Annual Meeting. (Conference) Ljubljana, SL (2007). Invited speaker. CEPR European Summer Symposium on Financial Markets. (Conference) Gerzensee, CH (2007). Invited speaker. American Economic Association Annual Meeting. (Conference) Chicago,USA (2007). Invited speaker. Finance Seminar, University of Zurich. (Seminar) Zurich, CH (2006). Invited speaker. GAEL Industrial Organisation and Innovation Conference. (Conference) Grenoble, FR (2006). Invited speaker. Financial Intermediation Research Society Conference. (Conference) Shanghai, CN (2006). Invited speaker. Financial Intermediation Research Society Conference. (Conference) Capri, IT (2004). Invited speaker. CERF Cambridge Conference on Financial Innovation. (Conference) Cambridge, UK (2004). Invited speaker. American Finance Association Annual Meeting. (Conference) San Diego, USA (2004). Invited speaker. Finance Seminar, University of Amsterdam. (Seminar) Amsterdam, NL (2002). Invited speaker. Finance Seminar, Universidad Carlos III. (Seminar) Madrid, SP (2002). Invited speaker. Finance Seminar, Queens University. (Seminar) Kingston, CA (2002). Invited speaker. Finance Seminar, INSEAD. (Seminar) Fontainbleau, FR (2002). Invited speaker. Finance Seminar, HEC Montreal. (Seminar) Montreal, CA (2002). Invited speaker. Finance Seminar, HEC Lausanne. (Seminar) Lausanne, CH (2002). Invited speaker. Finance Seminar, Bocconi University. (Seminar) Milan, IT (2002). Invited speaker. Finance Seminar, Tilburg University. (Seminar) Tilburg, NL (2002). Invited speaker. Finance Seminar, ITAM. (Seminar) Mexico, MX (2002). Invited speaker. Finance Seminar, CEMFI. (Seminar) Madrid, SP (2002). Invited speaker. New capital rules spur banks seek breathing room with controversial credit relief trades. (2013) Washington Post Business (website). Banks Allying With Hedge Funds as Capital Rules Bite. (2013) Bloomberg.com (website). New capital rules spur banks seek breathing room with controversial credit relief trades. (2013) The Washington Post Business (website). Banks Allying With Hedge Funds as Capital Rules Bite. (2013) Bloomberg (website). Banks Converging With Hedge Funds on Risks as Capital Rules Bite. (2013) SFGate (website). Lloyds and RNS boosted by new capital pledge. (2012) Daily Mail (newspaper). Bankers get new 'relaxed' rules. (2012) The Press (Yorkshire) (newspaper). City welcomes relaxing of banking rules. (2012) City AM (newspaper). Banking union may provide security. (2012) The Financial Adviser (website). Banking union may provide security. (2012) Financial Advisor (website). EU moves for banking stability won't benefit UK. (2012) www.ftadviser.com (website).